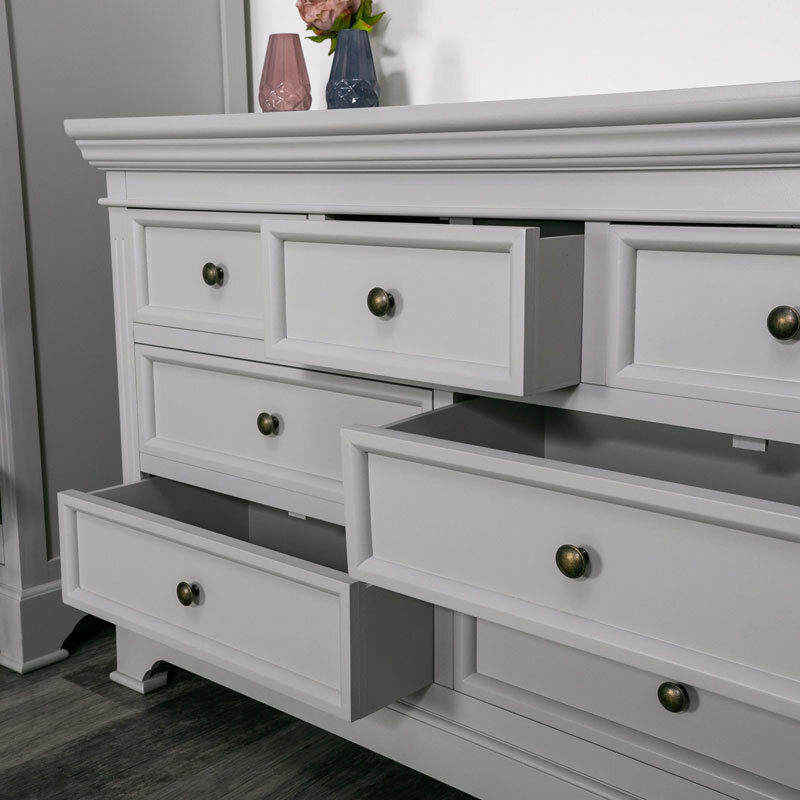 Part of our stunning Daventry Dove-Grey Range, this classic Georgian furniture offers a vintage but also modern look to any bedroom. With 7 drawers offering mass storage for any of your items, with a soft look this piece will look great. The gorgeous grey finish will look great with any colour scheme. 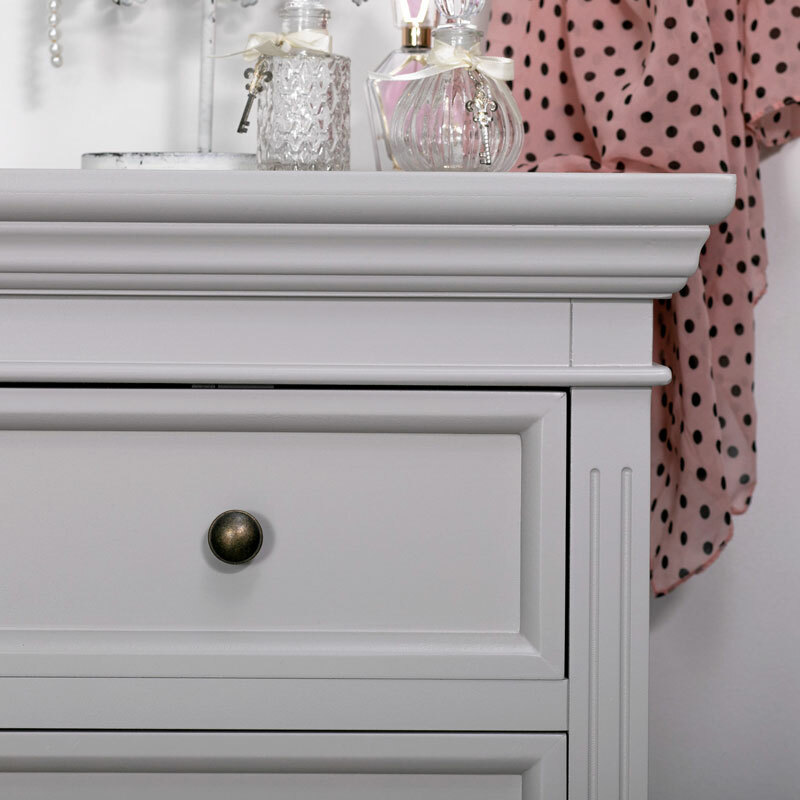 Each drawer is finished with a brass knob adding more class to this design. The Daventry Dove-Grey range offers the perfect touch to any interior. There is also more furniture in this range allowing you to complete a bedroom set of your choice. 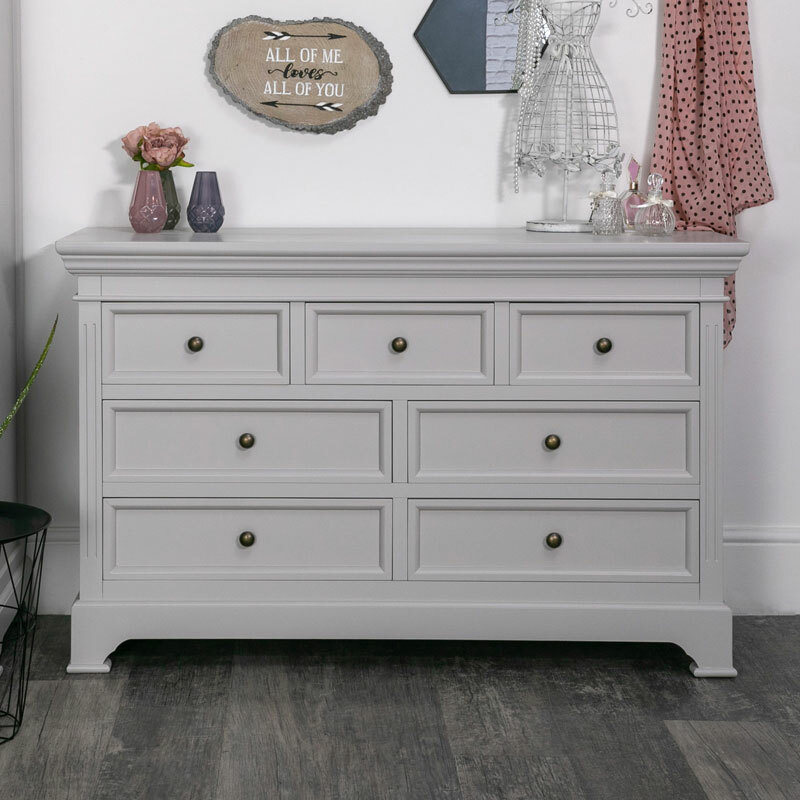 The Daventry-Grey chest of drawers comes fully assembled so no need for fiddly instructions and time spent fitting it together, just unbox and place where you want to create to best living space for yourself. With several more pieces of furniture in this range that will allow you to create your perfect bedroom, from clothing storage with chests of drawers and wardrobes to dressing tables, giving you the perfect place to get ready for the day ahead or an evening out with your clothes conveniently to hand! Fully furnish your bedroom with love and brilliant style.